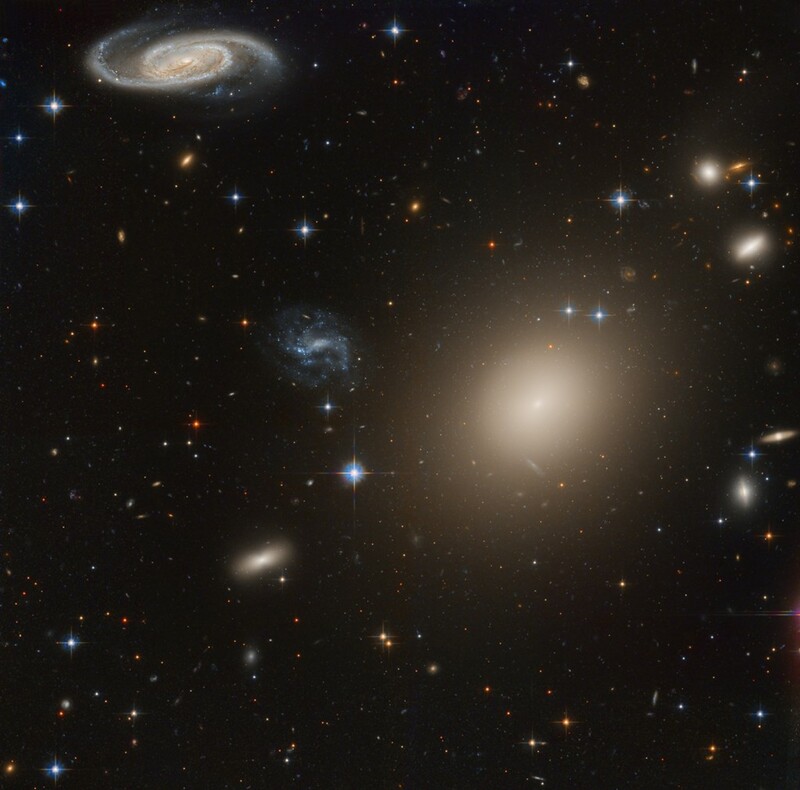 This stunning group of galaxies (BELOW the fold) is far, far away, about 450 million light-years from planet Earth and cataloged as galaxy cluster Abell S0740. Dominated by the cluster's large central elliptical galaxy (ESO 325-G004), this reprocessed Hubble Space Telescope view takes in a remarkable assortment of galaxy shapes and sizes with only a few spiky foreground stars scattered through the field. The giant elliptical galaxy (right of center) spans over 100,000 light years and contains about 100 billion stars, comparable in size to our own spiral Milky Way galaxy. The Hubble data can reveal a wealth of detail in even these distant galaxies, including arms and dust lanes, star clusters, ring structures, and gravitational lensing arcs.